Online taxi business is on an ever-rising note ever since the millennial’s started choosing this mode of transport as their favorite. Recently Online taxi business and taxi software are making waves across the world. The success stories of such services like Uber, Ola etc are promoting young entrepreneurs to start their own taxi dispatch businesses. Amidst this new wave of the transportation revolution, a fleet of taxis powered by electricity hit the roads of Singapore by the end of 2016 and has been a successful venture for the investors. In continuation with the successful run, the company, HDT in Singapore has introduced the first-ever electricity powered bus in 2018. 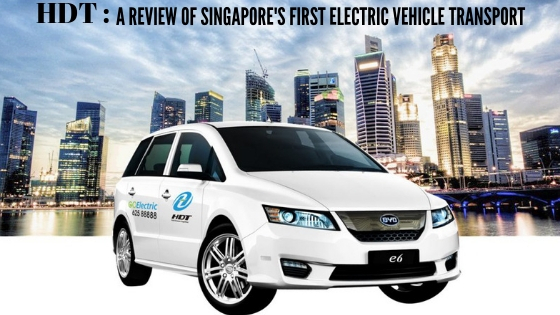 Let us do a review of Hold Dreams Together, one of Singapore’s first electric vehicle transport. Singapore is one of those cities that sees an increasing trend of getting electric vehicles on the road, mainly in the category of public transport like taxis and buses. The initiative of HDT came when the thought of pushing the number of electric private buses in the city sprang to managing director of the company, Mr. Pang Kok Leong. He then proposed a large volume of mini private buses in Singapore city. By large volume, we are implying about around thousands of private and minibusses in the country. According to Singapore’s Annual Vehicle Statistics of 2017, there are around 20,000 private bus vehicles in Singapore. In view of this, HDT Singapore, one of the most prominent private bus-pooling provider, decided to contribute their share to the sustainable and emission-free environment. This bus service powered by clean energy is on trial for a period of 1- year. The success of this venture may even prompt the company to start a category of electric buses as a choice of a fleet for many existing operators. HDT Commuters can look out for a far more pleasant traveling experience as the new electric transport, BYD C6 promises a much quieter in-cabin ride. This will aid in contributing to a relaxing and refreshing journey to work. Along with added advantages of smooth acceleration, it enhances the driver’s experience by bringing in the technology of uphill with auto parking assist. This bus can travel up to a range of 200km on a full charge. There will be a free passenger USB charging port that will also be included for commuter’s added convenience. Bus pooling in Singapore alternates between public transportation and private hire service. This service makes an attractive alternative for commuters who are striving for more work-life balance by precise planning of commute to and from their home and office. The bus-pooling concept has seen a consistent growth despite the expansion of the rail network. It gives a positive ray of hope that a bus pool is continuing to be an efficient mode of transportation that greatly reduces the carbon footprints by lowering the usage of cars and at the same time providing a hassle-free and direct ride. There will also be a guaranteed seat without having the need to transfer. With this, the passengers will have a similar experience of a car ride. The introduction of the 100% electric 24 seater bus will take a giant leap towards the zero-emission mission. The BYD C6 bus operates on the Share Transport bus route JS1. The commuters can get Daily and monthly passes on the HDT mobile app. Online Taxi dispatch business – the electric powered way! The taxi population in the city has been shrinking largely due to stiff competition from ride-hailing services, but there is this one cab company is looking to expand its fleet. HDT Singapore Taxi, which now operates 100 electric-powered cabs is looking forward to adding in another 800 electric taxis by the end of the year. The firm is planning to obtain a full Taxi Service Operator Licence (TSOL) from the regulator. There are a large number of financial and lending institutions that are willing to fund this venture. HDT offers a basic monthly salary for the drivers along with bonuses for hitting revenue targets. They get a starting monthly pay of $1,900, which is inclusive of the Central Provident Fund (CPF) contributions. This can gradually grow up to a gross salary of $3,200 if the driver manages a revenue target of $7,250. The review – is the business minting gold or going down the drain? As per the recent reports, about six out of 10 drivers meet the $7,250 target set by the company. Post this target of $7,500, the driver and company get into a progressive profit-sharing system. This starts at a 45:55 ratio, on the basis of which the company bears the CPF contributions. A fixed salary means less financial concerns for drivers, but many feels that this model is not attractive enough as they prefer to rent cabs. Moreover, most of them feel like it is not easy to hit the $7,500 target to get the added benefits. Due to this reason, the company has had a strained relationship with its drivers. As far as the business is concerned, it is going well. The car can run around 350 km on full power. Economically, it is well enough to fetch handsome profits. On the flip side, we strongly suggest that a competitive pricing strategy will work better for the Singaporeans. If a major revamp is done, the company is here to make huge profits. Try a Free Taxi Dispatch Software Demo to know how effectively a taxi software can help in a taxi business across the world. Also read about Top 6 Taxi Companies in Singapore . If you plan a business like HDT, Contact Infinite Cab for the best online taxi dispatch software!